Hey all you SEOers! It’s that time of the year again when we need to look at the latest Google SEO updates once again. Yes people, Google has a new update ready for us again – in 2017. Some experts have been contemplating that the company has made up gradations in Google Penguin algorithm probably in February this year. Yes! It is speculated and conjectured because Google is not someone who would let the cat out of the bag so easily – they are excellent secret keepers and are not going to reveal their strategies to us. It seems just like yesterday when we were making our bets on what was awaiting SEO in 2017. Then boom, and it’s already 2018 — the time for planning, costing, and strategizing for your SEO success in 2018 is now if you’ve not done it yet. By keeping a close watch on the changes in the SERP’s with respect to your own rankings as well as feedback from the SEO community and Google itself can more often than not deduce what is required to be done to your website to increase your website’s ranking. Talks have been doing the rounds in the SEO community that a Google Update is on the anvil that is supposedly going to target Black Hat SEO, in particular, backlinks. There are also some wary notions that content quality is targeted as well. As we ready ourselves to head into Q2 2018, it will definitely be a good idea to look at the trends and developments that we have been witnessing since the beginning of the year to at least begin to understand where we are likely heading next. Click to know more about the Top 6 SEO Trends that will Dominate 2018. Using a Schema markup is becoming progressively important with the forever transforming Google and the evolving user trends. Schema’s job is to make it simpler for search engines to fathom and comprehend your site, thus helping to ensure that it is displayed correctly. Schema can also be especially helpful when Google chooses to display rich answers, such as Quick Answers or a Rich Card. Google likes to make life easy for its users by displaying answers as simply as possible so that they can find what they are looking for. As of now, rich snippets are displayed for recipe and videos, AMP articles, local businesses, music, reviews, and TV & movies. Although there is a possibility of this changing in the future, using the Schema helps to ensure that your site is always ready. Google has also been increasing its usage of Quick Answers. Schema can help make the purposefulness and content of your site clear, so your text is more appealing for snippet boxes. Of course, we cannot overlook one of the latest updates of SEO 2018 without talking about RankBrain and artificial intelligence. Since Google lays special emphasis on this machine learning now, brands need to be doubly sure that their sites are easy for a machine to interpret. Schema can be of immense help if you want to make this a reality. As artificial intelligence is likely to grow by leaps and bounds in the future, using Schema now can keep your site prepared for whatever the future brings. It is a well-known fact today that users have become extremely sophisticated online and the demands of digital marketing manage to pull professionals closer together. Now, mobile users check business mails on the go and desktop users redeem social media coupons. To tap into this potential and cache of customers, your team should be up and about running hybrid campaigns, and be prepared for these changes. Google has been testing and trying out the SERPs this past year. Particularly, they have been increasing the number of characters allowed in some of the Meta descriptions and titles. This trend could pose a challenge for marketers because they have not been rolled out to all websites, nor has Google announced that they are permanent. For the sites that are fortunate enough to receive the extra traffic, there are great prospects for including more keywords and more compelling descriptions to help attract more people to the website. We all know that searches with focus on commerce display a higher number of ads on an average. This is mostly done at the top of the page but the click-through-rates are lower for organic search results as compared to those with fewer top-of-the-page. Gauging the terms that have organic search results above the fold is critical to prioritizing efforts. With regards to these subjects, organic and paid search teams should work in tandem to target these terms to boost ROI for both paid and organic efforts. It’s also essential for these teams to align their content strategy and plan to create web pages and assets that map what searchers are looking for. Since the year 2015 when Google first introduced the AMP project, the importance of speed, particularly on mobile devices, has grown. The search engine has always recognized and made it clear that slow load times hurt the user experience, which is why even a one second delay results in a considerable reduction in conversions. With AMP, Google can intensify the importance of speed. Google announced the entry of Penguin SEO update in April 2012 to catch hold of websites that were spamming the search results using black hat techniques. Before the advent of Penguin, sites normally utilized some negative external link building tactics to rank at the top in SERPs and boost their traffics. However, once Penguin was introduced it set the record right and stated that content was vital and those with amazing content would be recognized and those with little or spammy content would be punished. Disavow tool and contacting webmasters was done at a rapid pace to remove all such toxic links from search engines so that the webmasters could recover their websites. Penguin went onto become a real time algorithmic update meaning every negative action will have an equal and opposite reaction. Google Hummingbird was introduced in September 2013 with the singular focus of understanding the user’s query. Before Google Hummingbird, Google crawlers could only fetch results from breaking down a phrase into keywords and then searching through billions of pages for that particular keyword. The name ‘Hummingbird’ comes from its aptitude of being “exact and fast.” Hummingbird looks at the entire phrase to decipher the meaning of that phrase. Google Hummingbird SEO updates aid pages matching the meaning do better in search results. In February 2011, Google Panda was born. Its main job is to catch hold of sites that used duplicate or thin content on their websites. Google Panda was quite successful in impacting the ranking of entire sites or a specific section rather than individual pages on a site. Google has confirmed that the update started to roll out on July 24 for US English results. The purpose of the update is to provide a more beneficial, relevant and precise local search result. 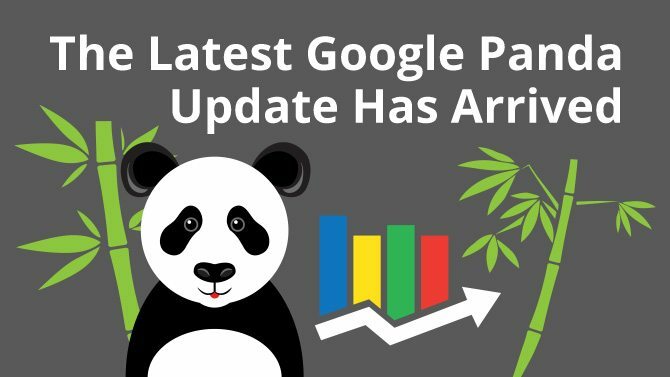 And unlike Penguin and Panda updates this is not a penalty-based update, but a core change to the local search-ranking algorithm. So get set and gear up to dominate SEO in 2018! 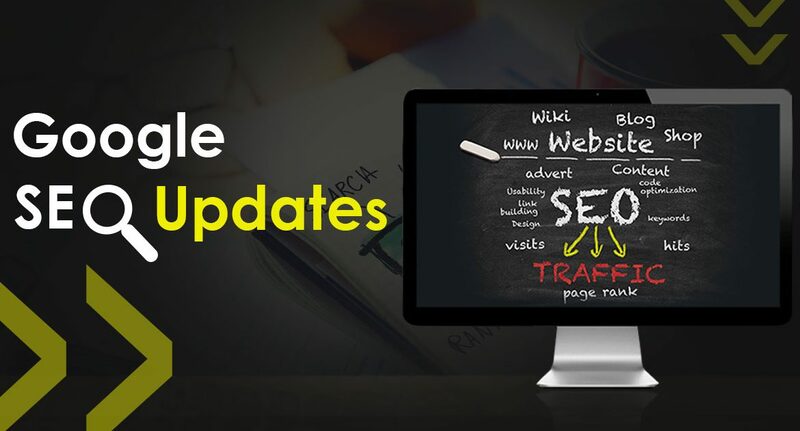 These latest updates in the SEO algorithm of Google means that companies need to be careful when they try to promote their brand and/or product. In order to efficiently market themselves in a country rife with marketing competition, availing the latest SEO services in India will help give a leg up over their competition. In order to enjoy the benefits of these invaluable SEO services, contact us now!